Sarah loves NY! 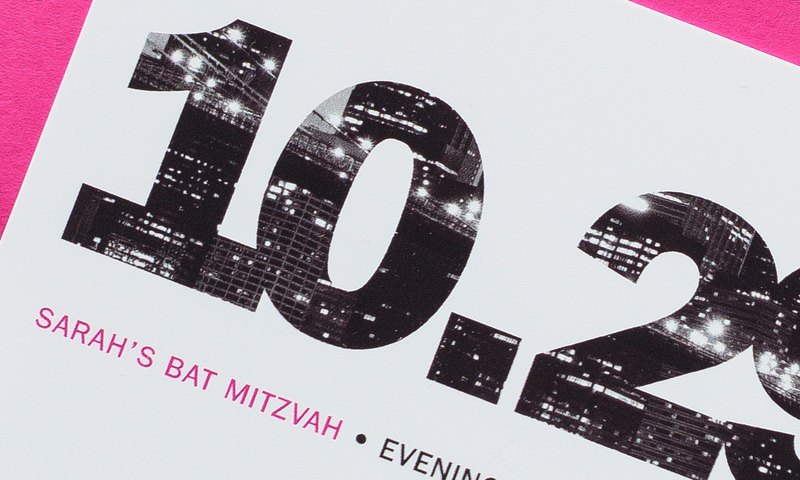 This city-inspired, white plastic card with hot pink accents created the perfect save the date for a bat mitzvah in the big apple. 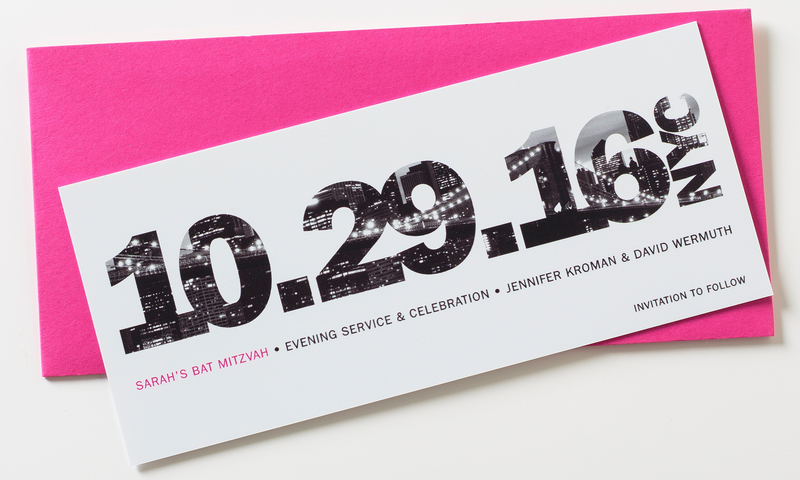 This design can be customized for other cities or the main invitation.